Cryoglobulins are immunoglobulins that precipitate from serum under laboratory conditions of cold. The usual laboratory temperature used to precipitate cryo-globulins is 4°C. Cryoglobulinemia is divided into three clinical subsets (types I, II, and III). This classification is based on two features: (1) the clonality of the IgM component and (2) the presence of rheumatoid factor activity. In its clinical manifestations, type I cryoglobulinemia is usually quite distinct from types II and III. In contrast, substantial clinical overlap exists between types II and III. Type I cryoglobulinemia is associated with a monoclonal component and is typically associated with a hematopoietic malignancy. Type II and III cryoglobulinemia are often termed “mixed” cryoglobulinemias, as they are comprised of both IgG and IgM components. Vasculitis associated with mixed cryoglobulinemia involves both small- and medium-sized blood vessels. Small-vessel disease is more common than medium-vessel disease. Vasculitis associated with mixed cryoglobulinemia is caused by hepatitis C virus (HCV) infections in approximately 90% of the cases. In such patients, the antigens involved in cryoglobulinemic vasculitis are portions of the (HCV) virion. The relevant antibodies are both IgG and IgM, leading to the designation “mixed” cryoglobulinemia. 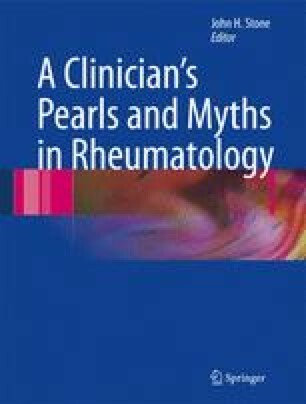 Virtually, all patients with mixed cryoglobulinemia are rheumatoid factor positive. The treatment of cryoglobulinemia of any of the three types is directed whenever possible at the underlying cause. In some cases, the broad-spectrum immunosup-pression and other measures must be employed with glucocorticoids, cytotoxic therapies, and plasma exchange.